Chicken, direct. Oh, and seared broccoli too. Thanks to @Schaefd2 I was inspired to go with fresh broccoli. And I decided to try tossing it straight over the heat with some Italian dressing dribbled on. I went with mostly unlit coals in one charcoal basket. Not completely filled of course. I lit around 10 and dumped them on top and kept the vents cut down, about 1/4 at the bottom and nearly closed up top. I wanted them to go low and slow and to last since I wasn't using much fuel. And also, because the machine in question leaks like a sieve. Initial results were not promising. 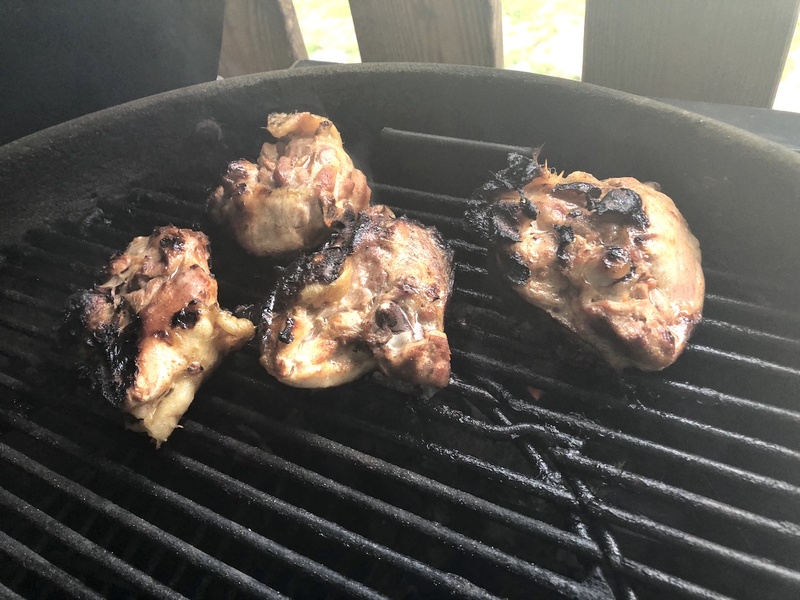 I'd done a seasoned buttermilk soak for chicken thighs and didn't know if I had put the fire out when they went on. It was only 4 thighs but too cramped with just one basket providing heat. I walked away and the skin burned. Not that any of us care about skin anyway, but they stuck to the grate. I moved them to the other side when (a little over) done. 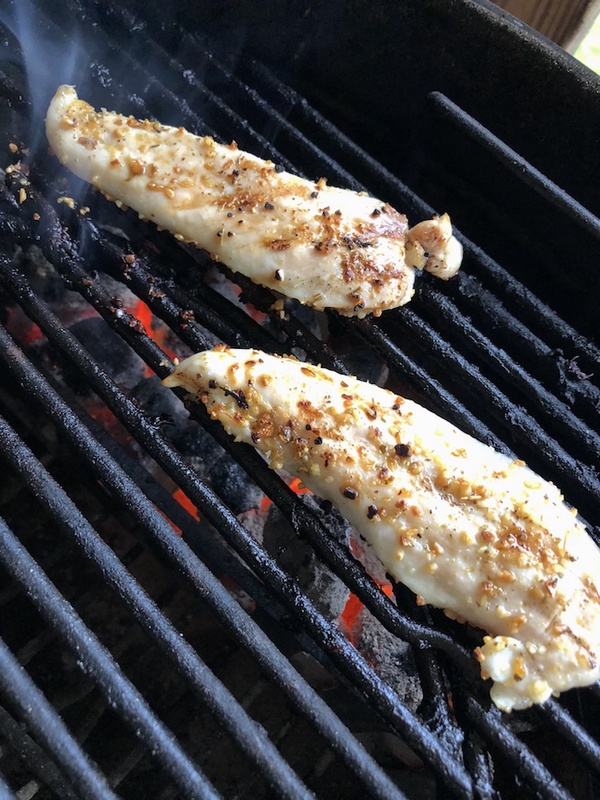 Then, I did tenders with a simple seasoning. I didn't leave these alone and they turned out correct. Re: Chicken, direct. Oh, and seared broccoli too. Chicken looks good from here! 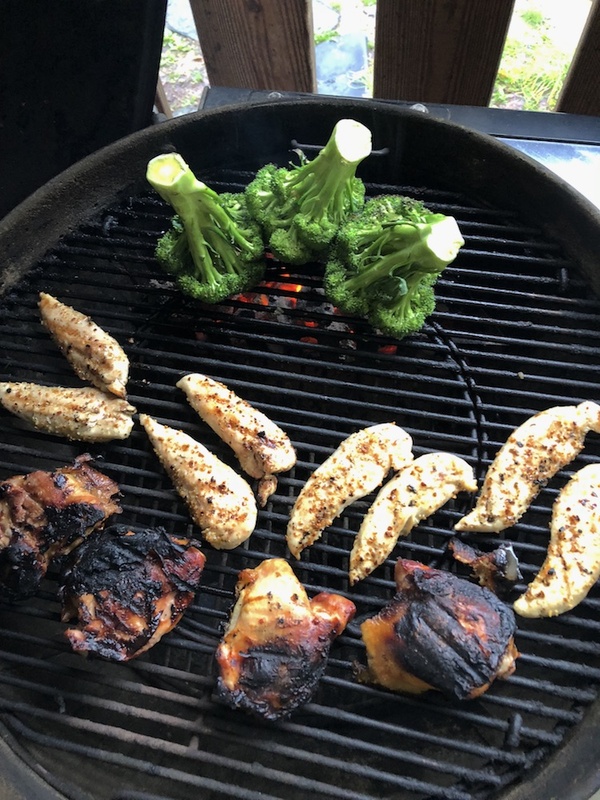 How’d the broccoli turn out? I’ve never done them whole like that but I may have to! Did they take awhile to cook? I’m interested in that broccoli too. That looks interesting for sure. I’m always a big fan of cooking direct. 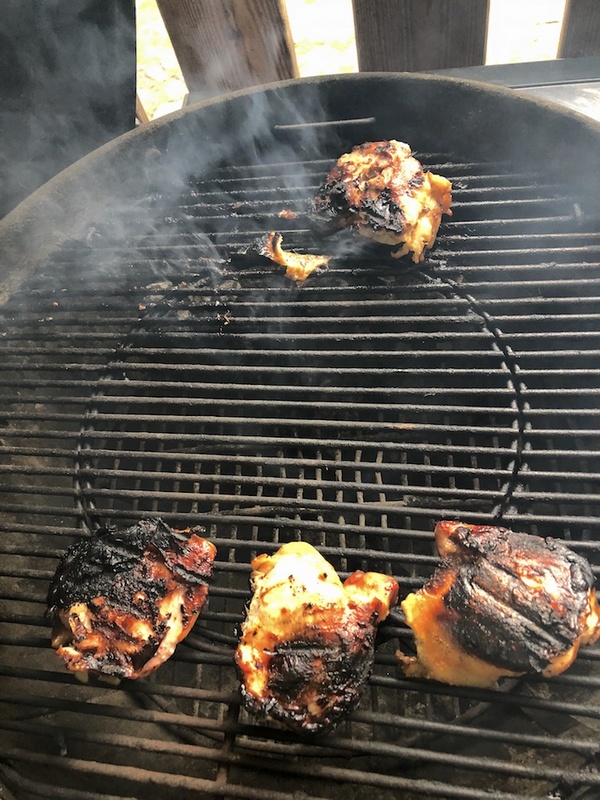 I just spread charcoal out over the grate for thighs. Looks good. The thighs were a bit overdone but no one complained. And like I said, we always just ignore the skin regardless. I never bothered to check any temperatures for either of the chicken types. If I had to guess, based on a little dryness, I'd say the thighs were allowed to reach 185 or 190. I flipped them once. The tenders were very thin of course, and cooked maybe 3 minutes per side at most. Maybe more like 2 minutes per. 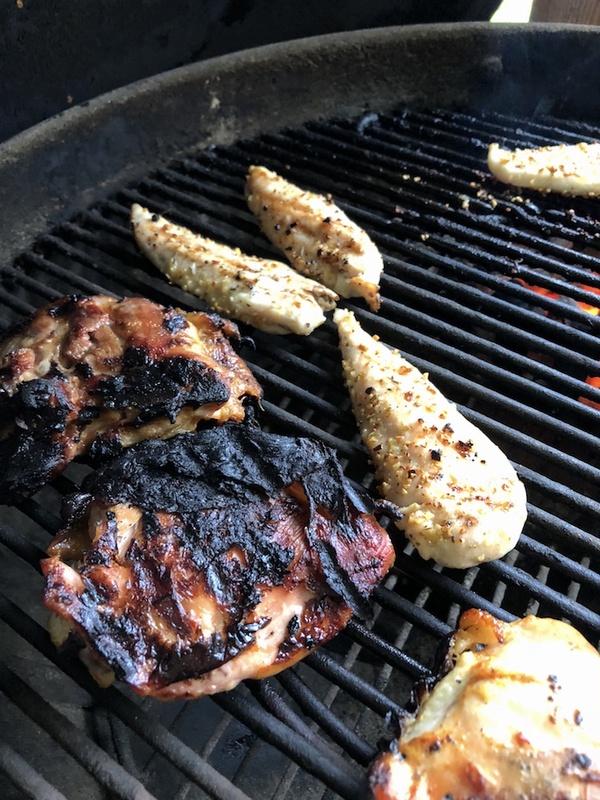 They were great, and I liked how the seasoning stayed on them. Now that I think about it, I smeared them with olive oil first. The direct heat on the seasoning really woke them up. 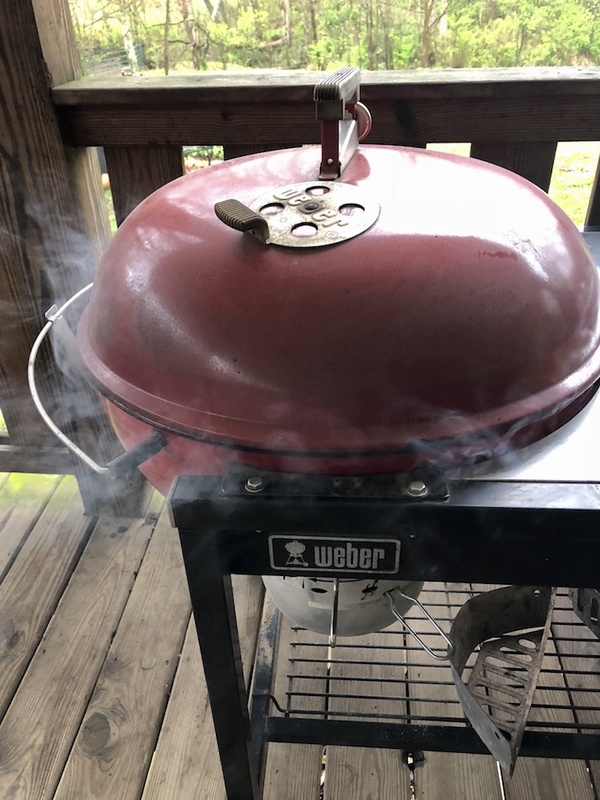 I used Weber "Roasted Garlic and Herb." I don't know if I'd cook chicken breasts this way. I'd worry the outer part would get overdone before the interior would. Maybe if it was truly low and slow it would work. But with thin tenders you can just flip after a couple minutes and they are done. HoosierKettle I'm going to be looking for more opportunities to do direct cooks. I came to this by learning indirect, and it changed my world completely. Now I want to learn how to do more things direct. I just can't do a two zone without some kind of charcoal holder; I won't ever bank fuel in a colored kettle. 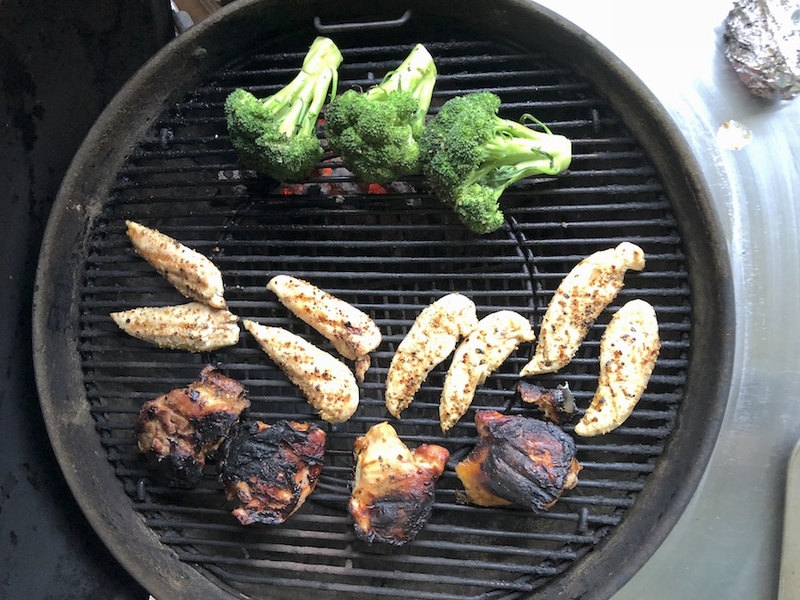 I did the broccoli last, as the meat stayed warm on the other side. Turned out great, with a nice little crunch, almost. I was worried the oil from the Italian dressing would cause flare ups and burning but it never happened. There was more black on them from just sponging up from grate grease than char, over all. Didn't take too long, maybe 10 mins at most? I kept looking for signs of overcooking (becoming brown) but they stayed strong. Perhaps that's because the stems were supplying the florets with latent water during the cook? So I'd say they were in fact, more like steamed. glad to hear the broccoli turned out tasty. They never turn brown for me, and I think it has to do with surface moisture, like you’d get from thawing frozen florets. I grilled some romaine that was still moist, and it just browned up into a ball of nastiness. 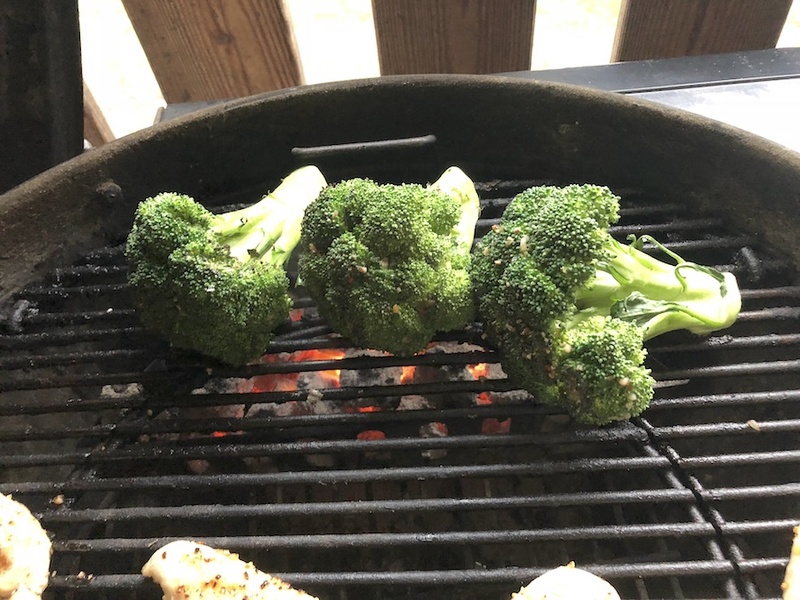 I do love the crunch of doing broccoli on the grill; I cut the big floret into long, slender pieces. It is my favorite grilled side dish.